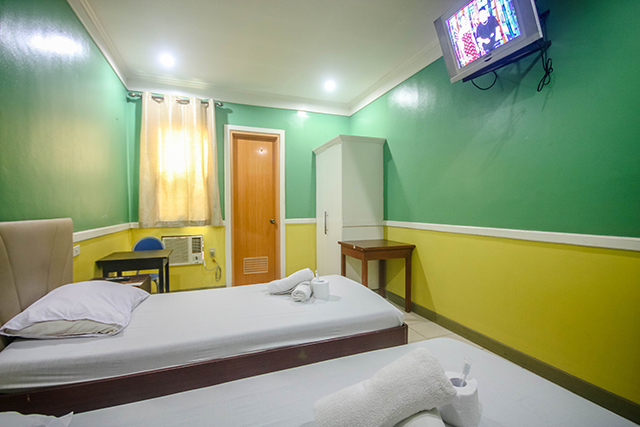 1 Queen Bed, Air-conditioned, cable TV, internet connection. 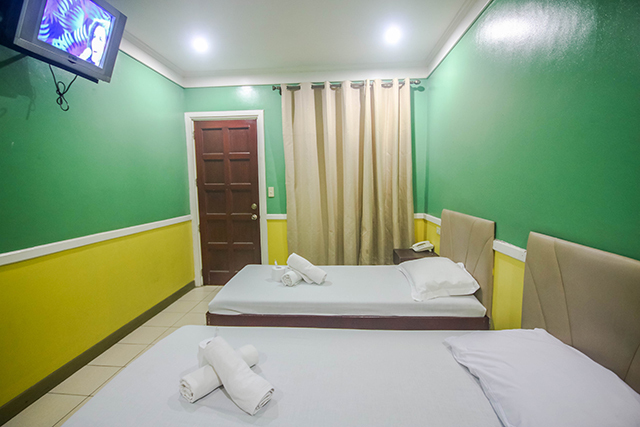 2 Single beds, Air-conditioned, cable TV, internet connection. 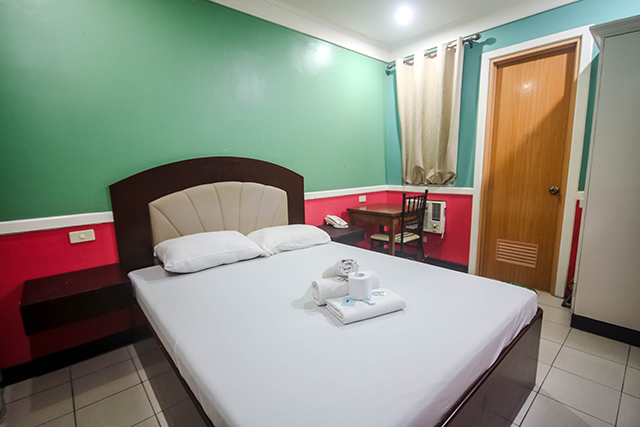 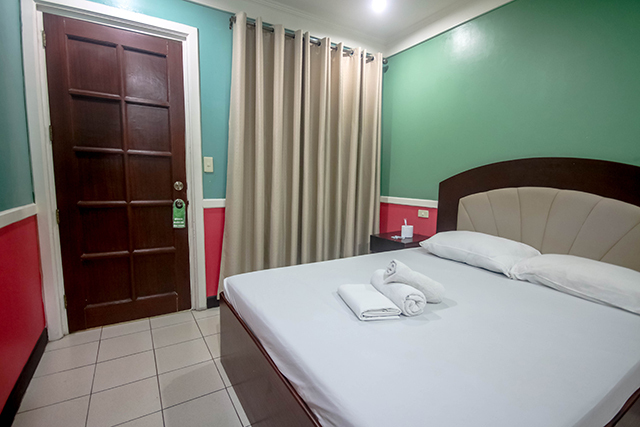 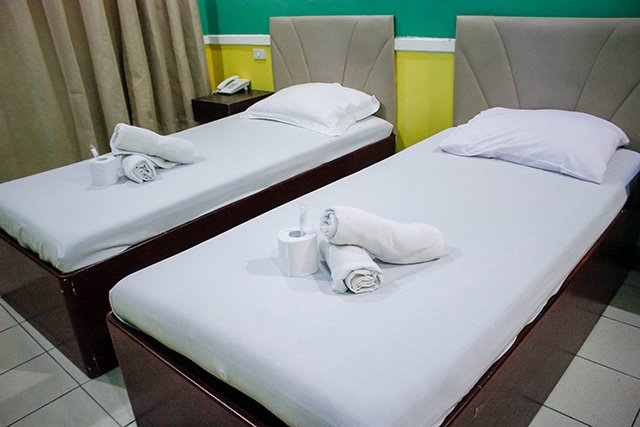 Apartelle Rooms are provided with linens, towels, pillow with pillow case. 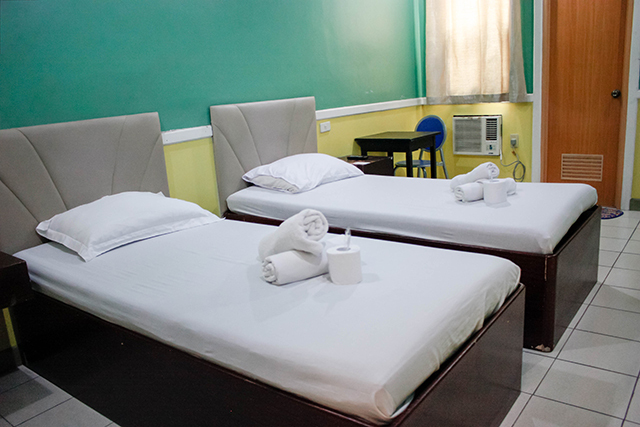 No linens and amenities are provided for Dormitory. 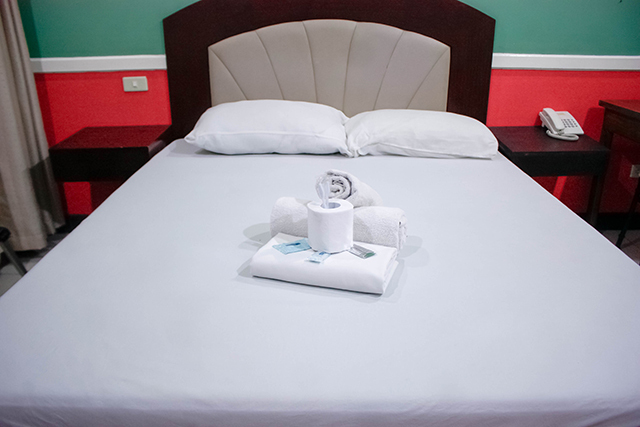 Children under 4 years of age are free of charge when using existing beds. 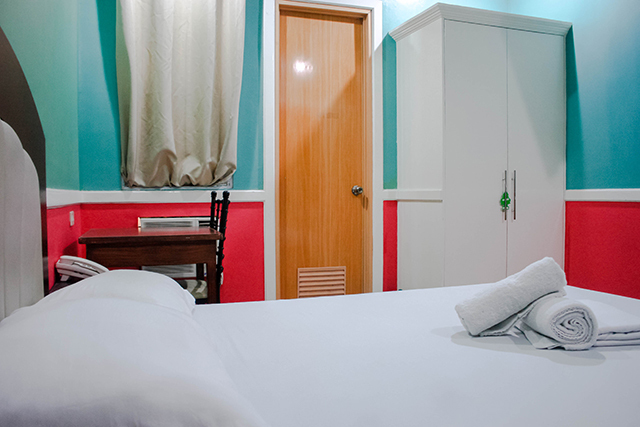 Extra person is charged Php 300 without extra bed.